The book offers case studies, essays, and design explorations (illustrations and diagrams) of Chinese cities to demonstrate how field urbanism can identify the inherent urban and architectural systems that differentiate cities, and can be applied across sites and individual buildings to maintain an area and region’s distinct recognizable character. “City design has never been more important and never has it been more problematic […] Meanwhile, the methods and knowledge we employ in their design is not advancing,” says Chow. Chow is looking at the effects of development and design strategies from the mid- to late-twentieth century, which although seen everywhere, are magnified by the transformation of Chinese cities in recent years. While computation and big data are emerging as tools to model urban complexity, Chow contends they are based on a “too simple, bifurcated view of cities – inside or outside, built or unbuilt, public or private” and that China’s extreme, object-oriented urbanism, where disconnected iconic structures dominate the skyline, offers an ideal base to test potential solutions to the densification, diversification, and sustainability challenges facing major cities around the world. With a strong focus on their exterior “appearance,” urban components are less likely to be designed for change and are unintentionally. In contrast, rich urban fabrics use a variety of resources and forms that are ever changing, responsive to topography and able to adapt to the user needs, evolving through time and reflecting the product and process dynamics of city making, urban form and of the people who create and inhabit them. Read an interview (Field Urbanism website). 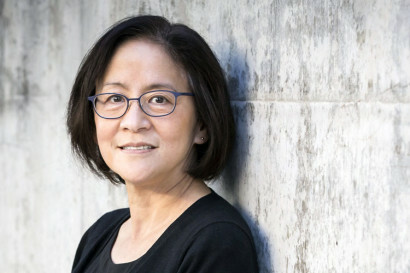 Renee Y. Chow is Professor of Architecture and Urban Design at University of California Berkeley and a founding principal at the Berkeley-based architecture and urban design practice STUDIO URBIS. Over the last decade, Chow has refocused on Chinese urbanism, researching and designing projects. Changing Chinese Cities: The Potentials of Field Urbanism is the culmination of her ongoing interest in China and theories on field urbanism, first explored in her earlier book, Suburban Space: The Fabric of Dwelling. Chow has been honored by Architecture Magazine as one of its “Ten Top Architectural Educators” and by the AIA California Council with its Research and Technology Honor Award. She previously taught at the Massachusetts Institute of Technology where she also received her SBAD and M.Arch.